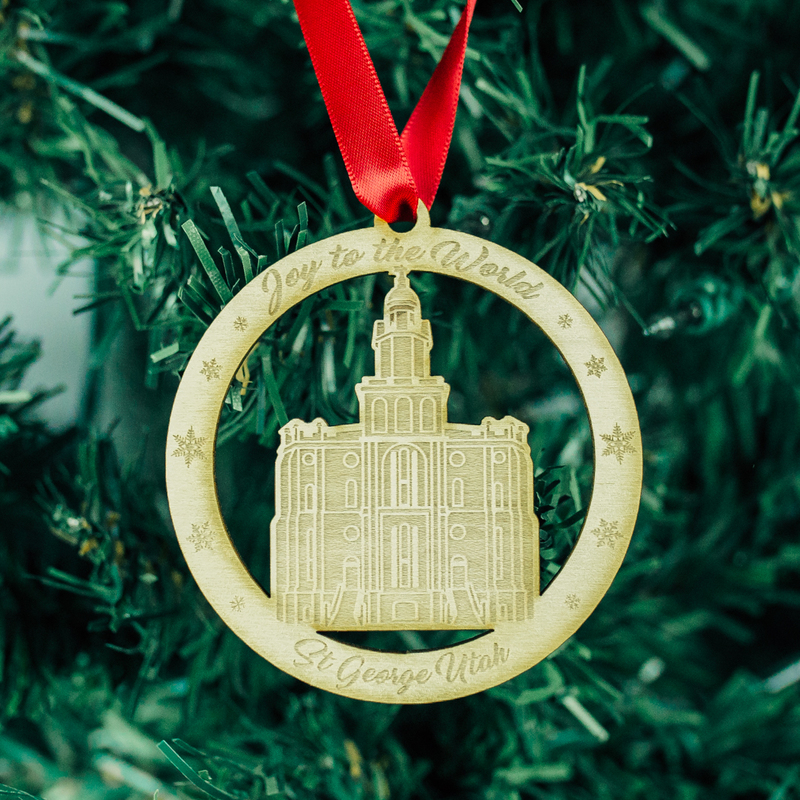 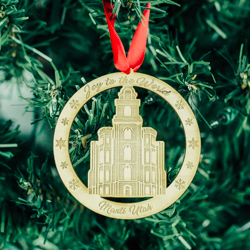 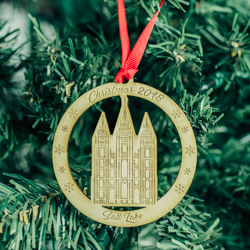 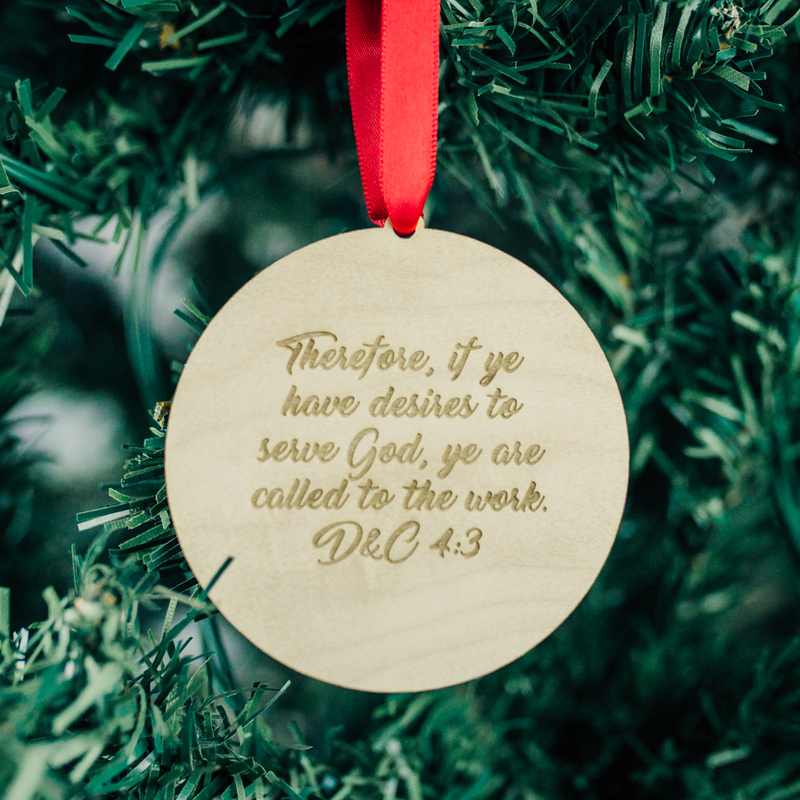 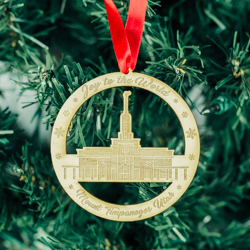 Invite the spirit of the temple into your home this Christmas with our exclusive St. George Temple Ornament. 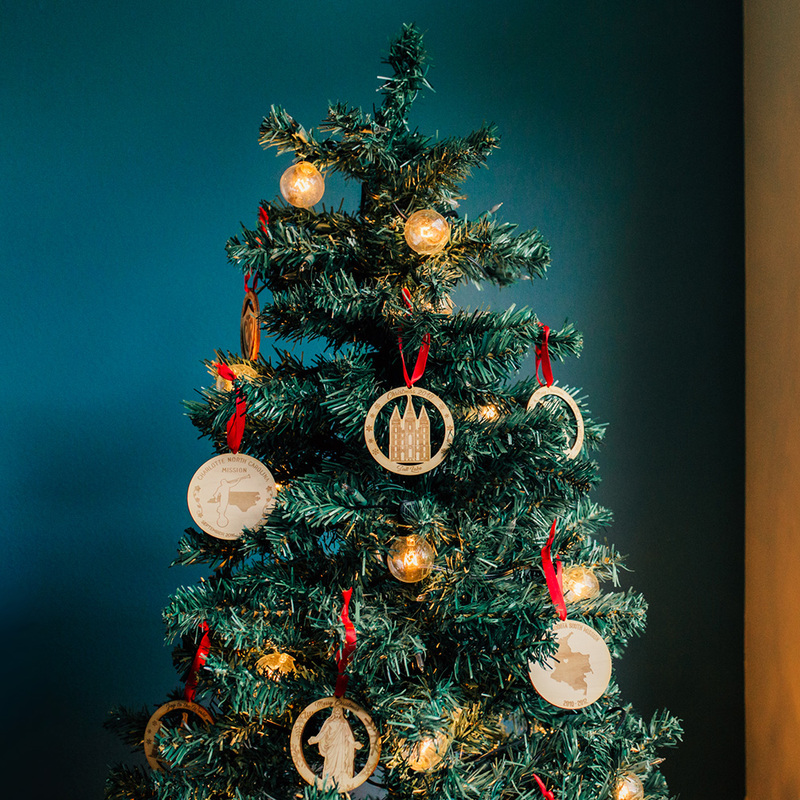 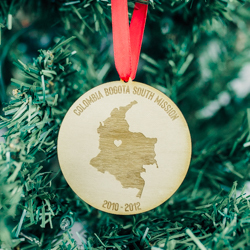 Made of genuine maple wood, each ornament is custom engraved for a warm, rustic look. 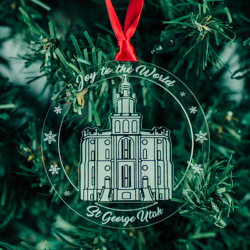 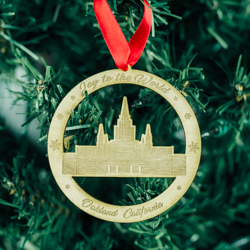 Each temple ornament comes with the name of your temple on the bottom, snowflake accents, and the term "Joy to the World" at the top.